Helicopter « Global Market Insights, Inc.
With the stellar growth of the aviation industry, the aerospace cold forgings market is anticipated to record inevitable expansion in the years ahead. Current affairs indicate such a trend as well when in 2019, British Airways placed a massive order for 42 Boeing 777 jets. The deal comes at a time when IAG, which also owns other airlines like Aer Lingus and Iberia, said that the net profits for the group soared by 45% to €2.9 billion due to lower costs and higher passenger numbers. On the other hand, Airbus has been setting wheels in motion to assemble its latest A330neo wide-body jet in China. The company is trying to capitalize its business in the world’s fastest-growing aviation markets. China itself is not far behind in the race and has already tested the first China manufactured full size commercial aircraft in 2017, a line that is anticipated to rival giants like Boeing and Airbus. Considering such a widespread growth in the aerospace manufacturing industry, it can be very decidedly concluded that the aerospace cold forgings market will earn substantial profits as the industry mainly deals in the manufacturing of airframes, landing gears and nacelles. Advancement in forging technology has helped in the expansion of shapes, sizes and properties available in forged products to meet the demand for a variety of design and performance requirements. In case where strength, economy, reliability and resistance to shock and fatigue are vital considerations, reliable forgings are indispensable. Forged materials are specialized to offer high or low temperature degree of ductility, performance, hardness and machinability. To present a brief overview of the burgeoning aviation industry and therefore the expanding aerospace cold forgings market, it is necessary to demonstrate the air travel pattern observed across the globe. Air travel has growth exponentially in the Asia Pacific region which would present the aerospace cold forgings industry with unprecedented opportunities and challenges. A staggering 3.8 billion air travelers had been reported by Air Transport Association (IATA) to have travelled in 2016 and this number has been predicted to reach 7.2 billion passengers by 2035 with most of the boost coming from Asia Pacific. China is set to overtake the U.S. as the largest aviation market in the world by 2024 while India will displace the U.K. at the third place near 2025. One of the reasons contributing to this growth is the emerging middle class. Though the proportion of middle class in these countries are comparatively smaller than those found in more mature economies, the absolute numbers are still enormous. The upsurge in middle class households with more disposable incomes has naturally drawn people towards air travel. According to Boeing, over the next two decades 39,000 aircrafts would be in demand and at least 15,000 of these would be deployed in Asian markets with China set to become a trillion-dollar aviation market. Low cost airlines like AirAsia, Jetstar Asia, and Cebu Pacific are also another factor attributing to the rapid growth of air travel in Asia, not to mention the massive millennial population. It has been estimated that people of working age tend to fly most frequently as that saves them time. The fact that aerospace cold forgings market stands to gain in Asia has been underlined by the recent event where Bamboo Airways of Vietnam ordered ten 787-9 Dreamliners from Boeing while VietJet ordered one hundred 737 Max planes. While the former order was priced at $3 billion, the latter came with a price tag of $12.7 billion. Remarkably, the orders come at a time when President Donald Trump of the United Sates, had been visiting Vietnam to meet with the North Korean leader, Kim Jong-Un. Apart from APAC however, North America also stands as one of the most vital regional contributors to the global aerospace cold forgings industry. 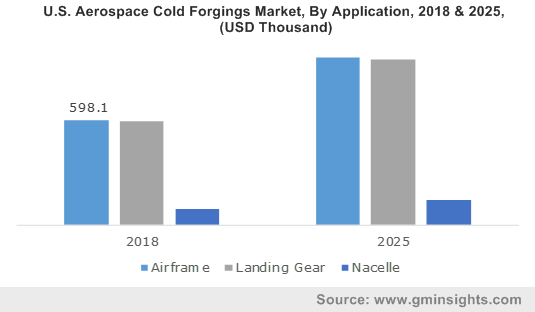 As per reports, North America aerospace cold forgings market will register a highly exponential growth rate over 2019-2025, driven by the rising presence of numerous aircraft manufacturers in the region in conjunction with the increasing demand for aircrafts subject to the enhanced service portfolio of low cost carriers. Equally important is the fact that U.S. regulators recently approved Vietnam’s air-safety system, making its airlines eligible to begin direct flights to the U.S.
With new areas of business opportunity opening up rapidly, the aerospace cold forgings market is anticipated to grow exponentially and will continue an upward trend over the coming years. As a matter of fact, the overall aerospace cold forgings industry size is anticipated to surpass USD 5.5 million by 2025. This entry was posted in Aerospace and Defense and tagged Aerospace Cold Forging, Aerospace Cold Forgings Market, Aerospace Cold Forgings Market Growth, Aerospace Cold Forgings Market Research, Aerospace Cold Forgings Market Share, Aerospace Cold Forgings Market Size, Airframe, Fighter Jets, Fixed Wing, Helicopter, Landing Gear, Nacelle, Narrow Body, Regional Jets, Rotary Wing, Wide Body. The proliferating tourism industry along with the surging consumer spending on air travel have indeed pushed aircraft door market trends lately. Doors, being one of the most critical components of aircraft, are quite overtly designed with utmost precision to offer easy access control and management of various aircraft compartments as well as ensure passenger safety by maintaining required air pressure within the aircraft. With the global expansion of the aviation industry, aircraft door designers and manufacturers are now focusing on reducing the overall door weight to enhance the aircraft’s fuel efficiency and profitability. The rising focus on weight reduction solutions in air carriers will thus drive the aircraft door market size over the forthcoming years. Given the escalating air traffic across the globe, the fact that the frequency of aircraft production has surged comes as no surprise. According to the International Air Transport Association (IATA), by 2036, the number of passengers using air transit services is expected to reach over 7.8 billion – nearly twice of the 4-billion-mark recorded in 2017. With rising disposable incomes along with the escalating annual spending in emerging nations, the demand new, advanced and luxury airliners will also increase, scaling up air carrier deliveries and subsequently impacting the global aircraft door industry share. It has been observed that of all different types, cargo doors are significant more popular, perhaps on account of the rise in cargo transport. According to the IATA, the air freight transportation in the year 2018, surpassed 60 million tons with an increase of close to 4.5% as opposed to 2017. Indeed, air cargo transportation is known to be potentially significant and accounts for about 35% of the worldwide trade by volume. With the expansion of the e-commerce industry, online retail carriers and integrators are enhancing their package sorting and automation capabilities, in addition to extending networks in a bid to gain a larger fraction of the growing trade. Powered by the robust expansion of air cargo transportation and the massive requirement of efficient doors in aircraft to ease loading and unloading, cargo aircraft door market share will experience a commendable incline in the years ahead. Latin America is anticipated to be tagged as one of the profitable regional grounds for the expansion of the global aircraft door market. Quite discernibly, the growth of the LATAM industry can be attributed to the fact that domestic airliners are consistently expanding their commercial and regional jet fleets in order to accommodate more passengers. Citing an instance of the aforementioned, in Q3 2018, Embraer had received an order of more than 20 regional jets from the reputed Azul Linhas Aereas Brasileiras. 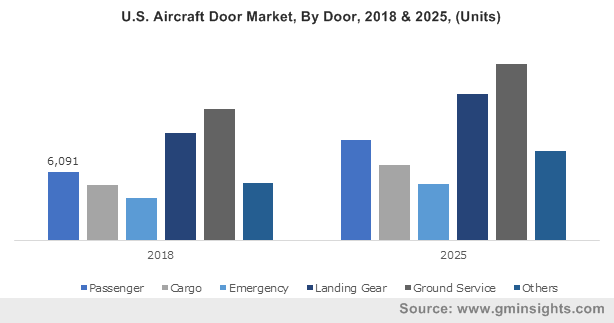 Driven by the expansion of the regional aviation industry and the efforts undertaken by prominent domestic players to consolidate their position in the global space, LATAM aircraft door market size is forecast to register a CAGR of 6.5% over 2019-2025. The Indian air transport sector has also depicted strong growth in the recent years, a fact that would serve to proliferate the regional aircraft door industry. Reports from IATA forecast that in the next 20 years the number of annual air passenger journeys will increase by over 350 million, hitting almost 520 million journeys in 2037. The regional civil aviation industry has also emerged as one of the fastest growing verticals in the recent years, and is expected to soon overtake the stalwarts in the domain in the global race. The strong performance of India’s aviation industry and the subsequently escalating demand for the production of technologically advanced aircraft, have thus served to expedite the growth map of India aircraft door market. Aircraft doors in essence, play a vital role to maintain specific air pressure in an aircraft cabin, offering enhanced security and assurance to traveling passengers. 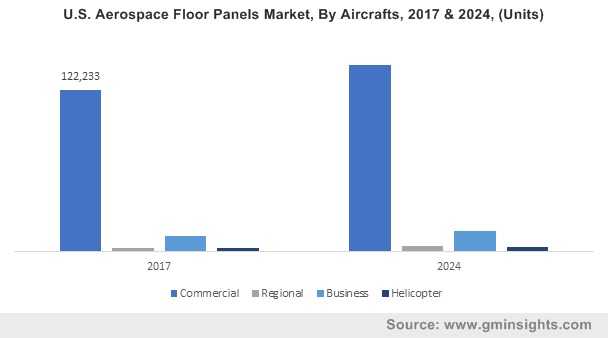 With a rising proportion of the global populace opting for air travel owing to surplus disposable incomes and the growing trade initiated by e-commerce giants, worldwide aircraft door market size is poised to hit a remuneration mark of USD 9.5 billion by 2025. This entry was posted in Aerospace and Defense and tagged Aftermarket, Aircraft Door Market, Aircraft Door Market Analysis, Aircraft Door Market Forecast, Aircraft Door Market Share, Aircraft Door Market Size, Business Jet, Cargo, Commercial Aircraft, Emergency, Global Aircraft Door Market, Ground Service, Helicopter, Hydraulic, Landing Gear, Manual, Military Aircraft, OEM, Passenger, Regional Jet. Pegged at a modest $2.5 billion in 2017, global aircraft lightening protection market is projected to witness rapid growth over 2018-2024. Robust advancements in aircraft design coupled with the increasing need of conducting maintenance operations for aircraft fleet to comply with modern safety standards have been major factors driving the growth prospects of this industry. The last recorded fatal incident where a lightning strike caused a serious accident was in 1967, when a lightning bolt caused the airplane fuel tank to explode. Since then, numerous protection techniques have been developed and implemented with airplanes now going through a series of rigorous certification tests that verify safety measures. These safety certifications are not only perpetually fueling the aircraft lightning protection market but are also responsible for boosting the research and development efforts in the recent times. In order to cut down the excess weight and fuel consumption, aircraft manufacturers have been incorporating composite materials in the structural parts of the airplanes. One of the prominent examples of this trend is the Juno project by Haydale which recently developed the world’s first Graphene Skinned Plane that provides significantly improved lightning-strike protection while cutting down on aircraft weight. Reportedly, the electrical conductivity of these composites has been improved significantly for lightning-strike protection by incorporating functionalized nanoparticles into epoxy resins. In addition to the development of such high-grade airplanes, numerous industry heavyweights such as Airbus have kickstarted their own research and development initiatives which will propel the aircraft lightning protection market trends in the years ahead. The civil aviation industry apportions a major chunk of the global aircraft lightning protection market – around $2 billion according to a 2017 estimate. The market size is projected to rapidly increase over the forecast period owing to growing world-trade and increase in passenger traffic. As per an IATA (International Air Transport Association) forecast, the air passenger traffic is set to reach 7.8 billion by 2036. Moreover, the association also estimates that around $17.5 billion worth of goods travel by air every day which translates to about 35% of the total world trade. Apparently, these growing numbers in terms of air passenger traffic and world trade by air have consistently generated lucrative opportunities for aircraft manufacturers like Boeing and Airbus which have been manufacturing more aircrafts in the recent past. As per reliable estimates, the combined revenue of Boeing and Airbus stood at approximately $164.3 billion in 2016 which highlights the swift expansion of the civil aviation industry size. Needless to mention, the aircraft lightning protection market is certain to benefit from the rising prominence of the civil aviation sector over the forecast timeframe. Of late, the military segment of aircraft lightning protection market has witnessed a robust expansion owing to increasing defense expenditure of major nations around the globe. According to reliable estimates, the top eight economies of the world allocated a combined $1188 billion to their defense budgets in 2017. Out of these nations, the U.S. alone is estimated to have spent around $610 billion. Apparently, these humongous numbers underscore the significance of military segment in the growth of aircraft lightning protection industry. Moreover, the retrofit aircraft lightning protection market is projected to get a massive boost as aircraft manufacturers are being offered with sizeable overhaul and maintenance contracts by prominent military forces. For instance, the Marine Corps has already started offering contracts for portable lightning rods as it was recently discovered that the F-35B variant of U.S. Air Force’s flagship stealth fighter – F-35 Joint Strike Fighter is incapable of handling lightning strikes. Essentially driven by growing world-trade, escalating air traffic passenger figures, and a drastic increase in defense budgets of various countries, the growth prospects of the aircraft lightening protection market appear to be highly promising. 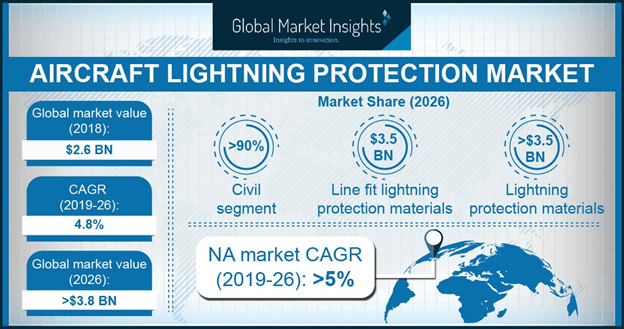 In fact, according to the research report put together by Global Market Insights, Inc., the remuneration scale of aircraft lightning protection market is projected to surpass $3.5 billion by 2024. This entry was posted in Automotive & Transportation and tagged Aircraft Lightning Protection Market, Aircraft Lightning Protection Market Report, Aircraft Lightning Protection Market Size, Business Jet, Civil, Commercial Aircraft, Expanded Metal Foil, Global Aircraft Lightning Protection Market, Grounding Wire, Helicopter, Lightning Detection & Warning, Lightning Protection, Line-Fit, Military, Military Aircraft, Regional Jet, Retrofit, Static Wick Wire, Transient Voltage Suppressors. 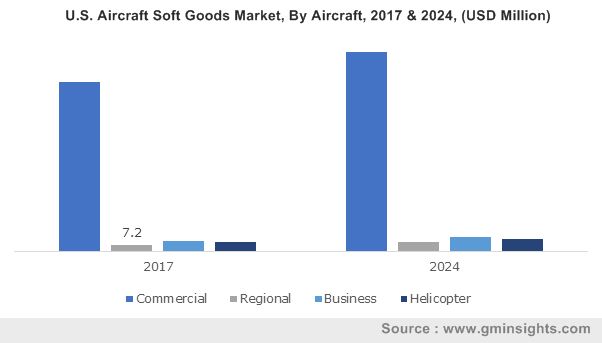 With the surging yearly growth of air traffic and continual improvements in aircraft operating performance, aircraft soft goods market has seen a considerable progression over the past few years. Reportedly, the worldwide passenger demand for air travel has increased by more than 8% over 2016-2017. By the end of this year, the figure is projected to grow by another 7%. Estimates further indicates that global aviation industry is likely to peg a humongous valuation of more than USD 30 billion in terms of profit in 2018 – representing an escalation of nearly USD 25 billion from what it recorded in the year 2011. The aforementioned statistics clearly projects the considerable massive aircraft demand in the last half a decade, leading to more deployment of soft goods for seat covers, carpets, and curtains etc. In fact, as per a research report by Global Market Insights, Inc., global aircraft soft goods market share was estimated at over USD 440 million in 2017. Constant aviation refurbishment facilities and interior modifications have indeed acted as a catalyst in the expansion of aircraft soft goods market. Companies partaking in the business space have been vying with one another to bring forth a flare of novelty in their product portfolio. Tapis Corporation, one of the leading players in aircraft soft goods market, has recently made its way to the front page, featuring its absolutely state of the art fabric on New Emirates 777-300ER First Class Suites. Reportedly, the company’s TapiSuede™ BHC-SS Flannel product has been chosen for these new suits, for the seat backshell. For the record, these premier suites were established by Emirates in collaboration with renowned seat manufacturer Rockwell Collions, industrial design firm Teague, airline manufacturer Boeing, and Jacques Pierre Jean. Tapis Corporation’s advanced product line coherently validates the fierce competitive scenario in aircraft soft goods industry and the ongoing developments this particular vertical is characterized by. Some of the other potential contenders in the marketplace include Anker Company, Spectra Interior Products, Mohawk Group, RAMM Aerospace, Lantal Textile AG, and InTech Aerospace. Regionally, North America exhibits a strong stance in the global aircraft soft goods market landscape with a recorded share of USD 250 million in 2017. The region, endorsed with presence of myriad top-notch aircraft manufacturing companies, is anticipated to surpass a revenue of USD 300 million by 2024. Forecast to be another profitable belt in terms of investment, APAC aircraft soft goods market is slated to record a 4% CAGR over 2018-2024. Growth drivers, as stated by analysts include expanding aviation commercial market along with increasing refurbishment activities. As per reports, the air carrier demand across APAC turf increased by 9.4% over 2016-2017, subject to significant increase in travel route options and macro-economic conditions. All in all, with the rising number of refurbishment projects aiming to upgrade the cabin interiors of economy as well as business classes, aircraft soft goods industry demand is certain to witness an uptick over the ensuing years. Manufacturers are adopting lightweight materials including blended fabric and synthetic products that offer improved surface texture at a reduced cost. Aircraft soft goods industry is certain to stand as a major beneficiary of these continuous upgradations in the modern airline vertical. In terms of commercialization portfolio, the overall business space is slated to cross USD 560 million by 2024. This entry was posted in Automotive & Transportation and tagged Aftermarket, Aircraft, Aircraft Soft Goods Market, Aircraft Soft Goods Market Analysis, Aircraft Soft Goods Market Report, Aircraft Soft Goods Market Research, Aircraft Soft Goods Market Segmentation, Aircraft Soft Goods Market Share, Business Jet, Carpets, Commercial Aircraft, Curtains, Helicopter, Natural Leather, Nylon Blend Fabric, OEM, Regional Jet, Seat Covers, Synthetic Leather, Wool Blend Fabric. 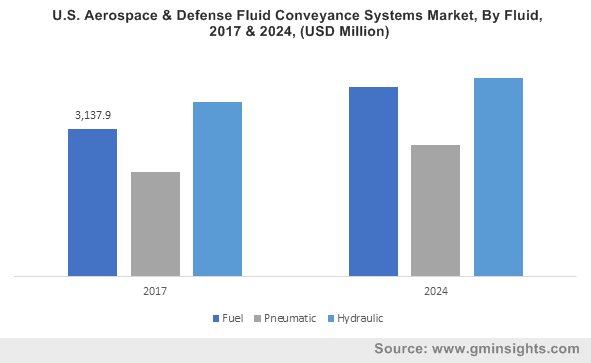 The rising deployment of fleet services for transportation & military operations has been driving aerospace & defense fluid conveyance systems market considerably since the last few years. With increasing disposable incomes and subsequently changing lifestyles, air transportation has lately gained substantial momentum, fueling the need for commercial aircraft. In addition, in order to eliminate terrorist activities, which have been increasing rapidly since the last few decades, many countries have been deploying unmanned aerial vehicles and high-speed jets. Aided by changing military strategies and heavy investments in the defense sector, aerospace & defense fluid conveyance systems industry size is anticipated to witness a massive upsurge over 2018-2024. Taking into account the primary need of fluid conveyance systems in aircraft production, leading aircraft manufacturers have been establishing partnerships with fuel system manufacturers. An instance of the aforementioned is GKN Aerospace’s contract signed with General Atomics Aeronautical Systems Inc., in 2017, for developing, designing, and manufacturing fuel conveyance systems. GKN Aerospace, through this development agreement, apparently looked forward to developing fuel systems for UAV (unmanned aerial vehicle) applications. The firm planned to manufacture fuel bladders through a vacuum forming process in conjunction with the latest polyurethane (PU) material that is durable and lightweight. Given that UAVs are prominently used in the defense sector for performing various surveillance and other military tasks, GKN is likely to strengthen its stance in aerospace & defense fluid conveyance systems market through this deal, in addition to encouraging its fellow adversaries to increase their investments in the development of military UAVs. The surging deployment of aircraft for defense as well as commercial purposes has been creating lucrative opportunities not only for original equipment manufacturers but also for aftermarket product developers. In fact, in order to rake in maximum capital, aircraft companies are signing long-term deals with aftermarket product suppliers. The collaboration of airline companies with aftermarket product distributors is proving rather beneficial for this vertical, in terms of reduced maintenance cost and improved fleet reliability. Citing a recent instance justifying the aforementioned statement, in 2016, Emirates signed a 10-year aftermarket agreement with Unison Industries to upgrade the GE90 and GP7200 engine fleets. Emirates back then, could leverage Unison’s expertise in the areas of upgrades, exchange programs, and repairs with mutual goals of the highest quality support. The deal testified that requirement of the aftermarket is vitally important for maintaining fleet services. Indeed, as per estimates, aerospace & defense fluid conveyance systems market size from the aftermarket distribution channel is slated to register a CAGR of 3.5% over 2018-2024. Elaborating further on the growth strategy scenario in aerospace & defense fluid conveyance systems market, it is noteworthy to mention in 2015, Parker Aerospace signed a long-term deal with Emirates to provide a maintenance package to its Airbus A330/A340 and Boeing 777 engines and aircraft. As per the agreement, Parker will establish its repair facilities and network outstations across the globe to support Emirates, which will emerge to be advantageous for regional companies and local support teams to generate a sufficient inventory pool for fleet maintenance. This in consequence would have a remunerative impact on the overall aerospace & defense fluid conveyance systems industry outlook over the years ahead. The mutual cooperation between aircraft companies and product suppliers is likely to be one of the major driving forces of aerospace & defense fluid conveyance systems industry. 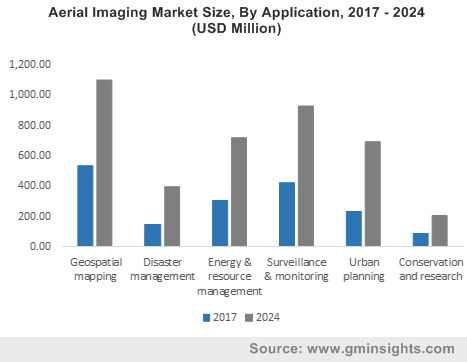 The surging deployment of UAVs for performing military operations will also have a remarkable impact on product demand over the years ahead. Driven by the escalating demand for fleet components and the robust competitive hierarchy, aerospace & defense fluid conveyance systems market share will increase at a CAGR of 3% over 2018-2024. This entry was posted in Automotive & Transportation and tagged Aerospace & Defense Fluid Conveyance Systems Market, Aftermarket, Aircraft, Airframe, Business Jet, Commercial Aircraft, Component, Couplings, Distribution Channel, Ducts, Engine, Fluid, Fuel, Helicopter, Hoses, Hydraulic, Military Aircraft, OEM, Pneumatic, Regional Jet, Seals.